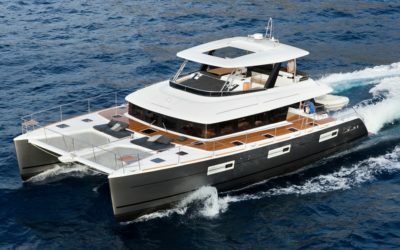 Lagoon holds distinction as the world leader in cruising catamaran construction. Founded as a subsidiary of Jeanneau Technologies Avancées in France in 1984 and acquired by the renowned sail and motor boat manufacturer Groupe Bénéteau in 1996, the brand boasts boats with innovative design and lavish comforts. In the Philippines, Lagoon yachts are exclusively distributed through Europa Yachts, the country’s premier luxury yacht authority. Lagoon has more than three decades’ worth of experience in crafting sailing and motor-powered catamarans, a type of multi-hulled watercraft that is well-known for ease in maneuvering and friendliness to first-time passengers. Each Lagoon catamaran presents precise engineering, ergonomic and stylish interiors, and bespoke opportunities for rest and recreation. These opportunities lend themselves particularly well to families, as catamarans are notably spacious, stable against rough currents, and capable of hosting full “live-aboard” experiences. The sailing yacht vs. motor yacht debate remains a high point of discussion for yachting enthusiasts, even in the recent decades. Yachts of both types continue to push the envelope in terms of performance, innovation, and tailored luxury. 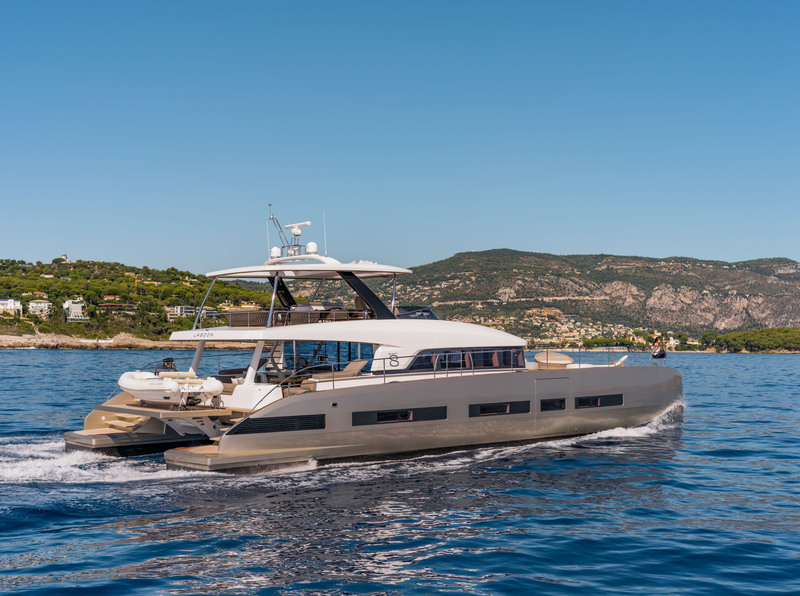 A motor yacht is a favorable choice among those who value the vessel’s capability to cover more distance over less time, hardiness for long cruising journeys with multiple pit stops, and capacity to accommodate onboard amenities. Cruising via motorized catamaran yacht will be an indulgence easily enjoyed by all members of the family. You’ll truly feel the difference that a high-powered catamaran is capable of when you are all on board: enjoying a cool drink in the saloon, resting in the yacht’s roomy interior quarters—and, of course, dipping your feet in each location where the yacht will set anchor. 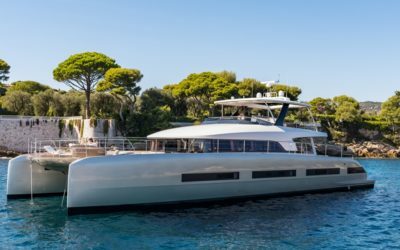 In other words, if you want to pull out all the stops on your yachting experience, then Europa Yachts recommends cruising on the motor catamaran. You’ll be in awe of the distance you can cover and the exceptional comforts you can accumulate while being onboard a Lagoon signature motor yacht. Curious about the out-of-the-ordinary adventures you and your family can embark on while helming a motorized yacht? Look only to Europa Yachts, the Philippines’ exclusive representative of Lagoon catamarans, to bring this experience to you. Europa Yachts strives to be the Philippines’ top authority on luxury watercrafts. We take pride in the range of services we offer to yacht buyers in the Philippines, including end-to-end delivery, aftersales support, scheduled maintenance, upgrades, and brokerage for secondhand yachts. Get in touch with us by calling (+632) 553-2027 or (+639176570045), or send us an email at info@europayachts.net.